Emilie chose to study a BA (Hons) Arts and Festival Management because she is interested in running arts projects and festivals, particularly for children in low income areas. At London South Bank University (LSBU), she got the opportunity to start her own company through the Entrepreneurship in Action scheme (now called Spark) run by our Student Enterprise team. "London is so multicultural and it's important for children to be part of that. But they don't have access to language skills. I want to give them that access while also teaching them artistic skills," explains Emilie, who is also a mother. Emilie set up Bizzie Bodies, a social enterprise that teaches children French through visual and performing arts workshops, including textiles, drama, dance, photography, 3D printing and graphic design. It is located in Rotherhithe, Southwark, where Emilie also lives. "French gives children the confidence that comes with speaking another language and teaches them a real life skill," she says. Emilie developed Bizzie Bodies as part of LSBU's EiA scheme, which helps current students start their own businesses while studying. The programme provides £500 startup funding, guidance and office space at the Clarence Centre for Enterprise and Innovation. "The Student Enterprise team gave me the opportunity to learn, have office space and a business address. Whenever I have a question about anything, they are available to give me answers and help me. They guide you, and you learn how to make it on your own and grow your business." Through the EiA programme, Emilie has won a further £1,205 in funding and a membership with MeWe360, a development organisation for creative entrepreneurs. Emilie was recently awarded funding from two renowned charities. 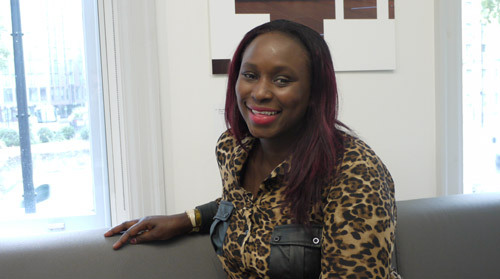 She won a £5,000 grant for IT costs from United St Saviour's, a charity that supports Southwark residents. She also received funding from UnLTD's Star People programme, which funds and supports entrepreneurs making a positive impact in their communities. Having awarded Emilie £500 to pilot her idea last year, UnLTD has now given her £4,750 to further develop her business. "I'm really happy because I have two charities that trust in my project. Now I must deliver," says Emilie. She has also partnered with film education charity Into Film to run a French film club, which includes access to films, filmmaking workshop support and competitions. Emilie is taking her business to the next level. She is looking for investors and collaborators to expand her business and the range of programmes offered. "I was running the programme only during school holidays and I ran events in July and August. But I now have demand for more events," she says. "I am busy establishing the venue in Rotherhithe. I plan to run year-round programmes, as well as once-off community events."